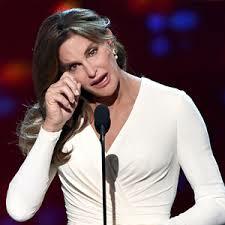 As many of you have probably heard, ESPN recently held their annual ESPY awards show where Caitlyn Jenner was awarded the Arthur Ashe Courage Award. Now, while even I think the award should have gone to someone else, it’s undeniable that her speech was amazing. It was powerful, moving and she said a lot of things that really needed to be said about the struggles many transgender Americans face almost every day of their lives. People who feel the need to lash out ignorantly and hatefully toward others are nothing more than bottom-feeders looking for some sort of validation to their lives. The only way they know how to make themselves feel better is by trying to tear others down. All the hate and judgement they have inside of them is just an extension of their own insecurities within themselves. While I’ll admit that I do agree with those who say Jenner shouldn’t have been given the award, I completely disagree with those who say she doesn’t have courage. It took some element of courage to stand on that stage knowing the ridicule and ignorance that would assuredly be thrown her way.